You might have noticed a strip of photos in a black box when searching for local hotels, restaurants or bars, it’s Google’s Carousel. 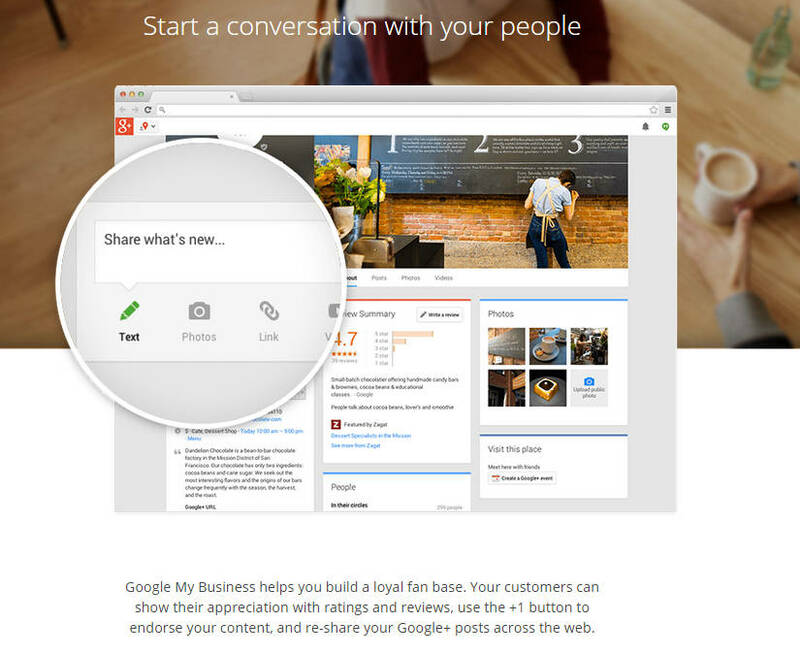 It first appeared on tablets last year and was tested on desktops during the spring. Last summer Google started rolling it out to all U.S. users. Instead of the traditional vertical listings, there is now a horizontal “carousel” which displays thumbnails, ratings, as well as the number of Google+ reviews. It’s called a carousel because you can slide it to see even more listings. We were pleased to see one of our sites listed #1 in the carousel. We recently launched a new website as well as a mobile site for TheMadGourmet.com. They offer delicious food and catering services from their Guilford location. Before we worked on their site they were practically invisible to Google. 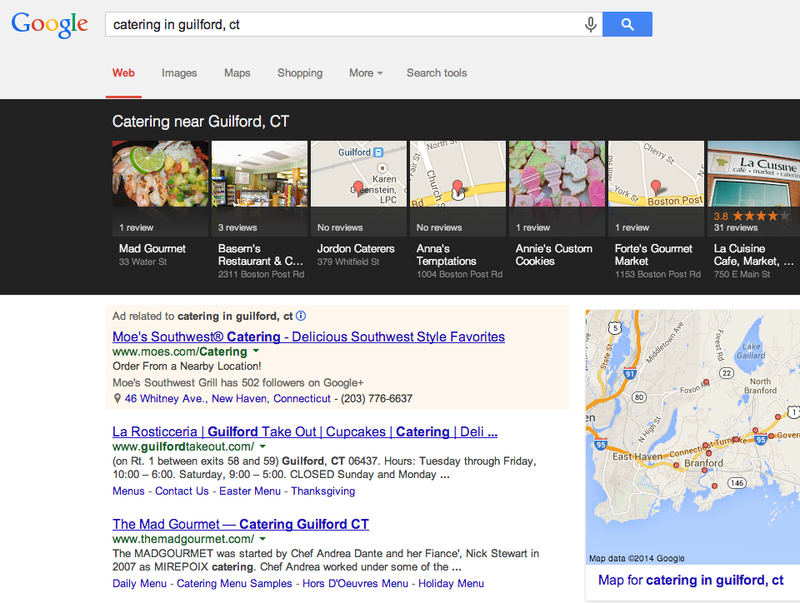 They appeared on the fourth page results for “catering Guilford CT“. We created a new site using WordPress and fully optimized the site for local search. Now they rank #1 on the carousel, rank #3 in the regular search results.